X-15 formed in Bellingham, Washington, just south of the Canadian border in 1979. They moved south to Seattle in 1980, getting a jump on the music scene that was about to burst out. The group featured vocalist Kelly Mitchell, drummer Todd Fuhs, bassist Tim Lollar and Erik Rohrer on keyboard. The band played in shows with the likes of Romeo Void, Gary Myrick and John Cale. 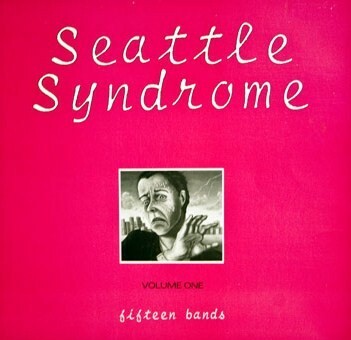 <== The song "Vaporized" also appeared on the album "Seattle Syndrome", that included fifteen bands from the Seattle area including the Fastbacks, The Fartz, The Macs and The Blackouts. X-15 had the lead track on the compilation. In 1981, X-15 changed their name to "Life In General", not to be confused with the North Carolina band now with the same name. Following that change, the band continued to open for a strong lineup of acts - including P.I.L., X, Missing Persons, The Clash, Lene Lovich and others. 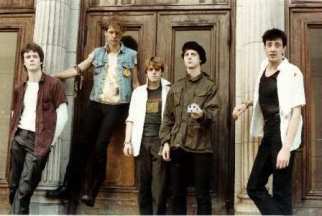 Deciding to build their own recording studio, in 1982 they released a 5 song 12" EP. 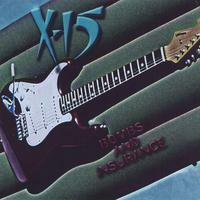 In 2003, X-15 released some of the material they recorded back in the eighties, that were never released, calling the project "Bombs and Insurance" on New Soul Records. Material gathered from their many recording sessions in the eighties is finally released. Click To Buy It!